You'll be £20.00 closer to your next £10.00 credit when you purchase Mortar Gunner on the Eastern Front. What's this? A visceral account from contemporaneous diaries of a soldier who frequently came close to death but somehow survived. Following his Abitur (A-levels) in 1940, Rehfeldt volunteered for the Panzer Arm but was trained on the heavy mortar and heavy MG with Grossdeutschland Division. He was on the Front from 1941 fighting for the city of Tula, south of Moscow. Battling in freezing conditions, at its lowest -52&#8451;, the descriptions of the privations are vivid and terrifying. With no winter clothes they resorted to using those taken from Soviet corpses. In 1942, fighting near Oriel, however, his batallion suffered heavy losses and was disbanded. 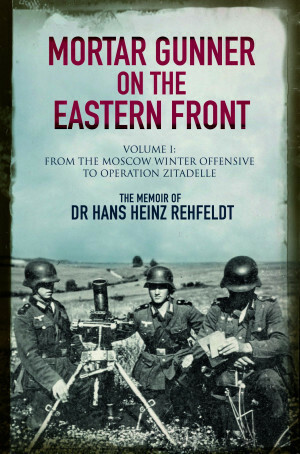 Ill with frostbitten legs, Rehfeldt was treated in hospital and once recovered was dispatched to the Front. Following various battles (Werch, Bolchov) his batallion again suffered heavy losses and it merged. In agony from severe frostbite to his legs, Rehfeldt defied the odds and astonished his surgeon when he walked again. He was promoted from Gunner to Trained Private Soldier in 1942, and to Corporal for bravery in the field in 1943. He was awarded numerous honours including the Wound Badge and the Infantry Assault Badge. On 3 May 1945 he was captured by US Forces and held as PoW for one month in a camp at Waschow before internment in Holstein from where he was released in July 1945 after agreeing to work on the land. In December 1945 he began studying veterinary medicine: his future career. This astonishing account of a man who kept bouncing back from near death is a testament to the author’s determination and sheer strength of spirit.